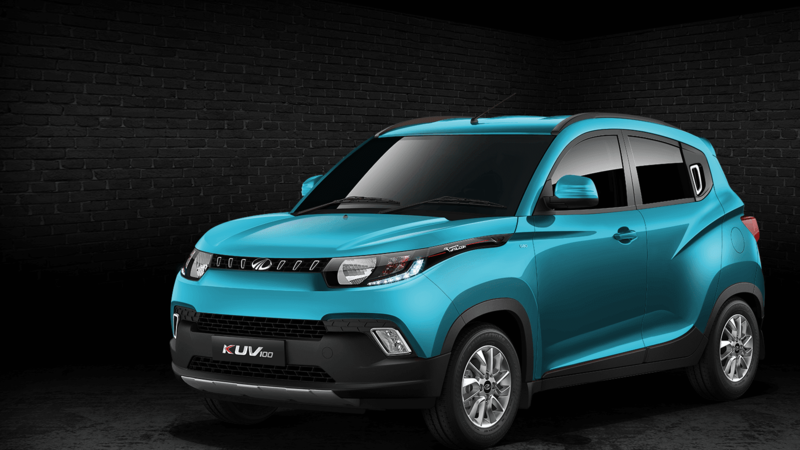 Why You Should Buy Mahindra KUV 100?, Mahindra KUV100 Price in India, Mahindra KUV100 Specifications, Mahindra KUV100 Interior, Mahindra KUV100 Mileage: Mahindra & Mahindra has launched its first compact SUV looking hatchback car – KUV 100 on January 15 this year in India. This car comes in both Petrol & Diesel variants. Made with cool features and premium styling so as to target the youth of India. 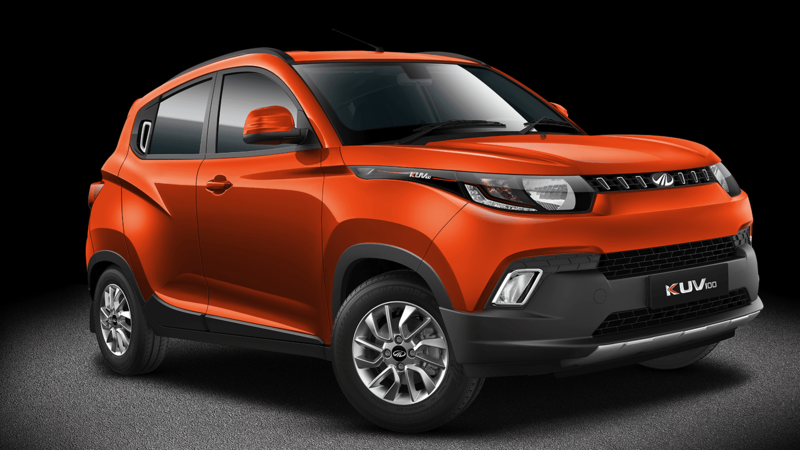 The acronym given by Mahindra for KUV is ‘Kool Utility Vehicle’. This car has been launched to compete with the popular hatchbacks like the Maruti Suzuki Swift, Maruti Suzuki WagonR, Hyundai Grand i10, Hyundai i20. What is different in Mahindra KUV 100? The starting price of Mahindra KUV 100, the most impressive car is 4.42 Lakhs for petrol and 5.22 Lakhs for diesel variants. The KUV 100 is designed keeping in mind the space requirement and the seating capacity. There is no separation between the driver & co-driver seat with flat floor. In fact there is a seating capacity of 6 people, with 3 people on front and 3 people on rear seats. All variants of this car come with ABS (Anti Lock Braking System) & EBD, which is not there in the cars of this range. It has 7 trims levels in both petrol & diesel variants i.e. K2, K2+, K4, K4+, K6, K6+ & K8. Also the + trims levels comes with front airbags. All variants come with 5-speed manual gearbox and probably have no plans to come with an automatic gearbox. Comes with a ground clearance of around 170 mm. Powered with Mahindra’s “mFalcon” engine. The Cubic Capacity (CC) is 1198, MPFI with dual VVT 1.2 litre 3 cylinder. The Mileage announced by Mahindra is 18.15 kmpl on petrol and 23.32 kmpl on diesel with 35 litres of Fuel tank capacity. Comes with seven amazing colours like Flamboyant Red, Dazzling Silver, Aquamarine, Designer Grey, Fiery Orange, Midnight Black and Pearl White. The Minimum Turning Circle Radius is 5.05 m.
Has a Coil Spring and Hydraulic Gas Charged Shock Absorber both in front and rear. This is the first time when Mahindra comes with a petrol engine. There is Disc Braking system in front and drum in rear. Also has some stunning features like steering mounted audio and phone controls, daytime running lamps & micro-hybrid technology (Engine start-stop) in the K8 trim level. This is the first time that Mahindra has such a low priced vehicle in the market with top features and in petrol engine to compete the increasing buyers market. 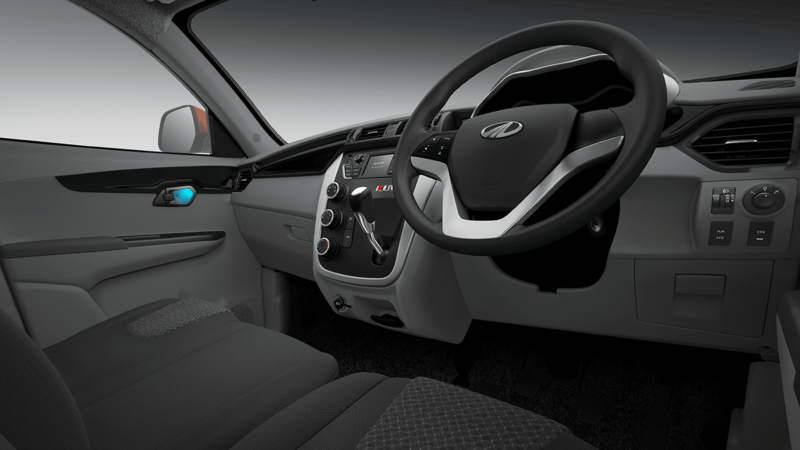 Tags: Mahindra KUV100 Interior, Mahindra KUV100 Mileage, Mahindra KUV100 Price in India, Mahindra KUV100 Specifications, mahindra upcoming vehicles, Why You Should Buy Mahindra KUV 100?